The enthusiastic proprietor, Jan Schawe, has brought together his favourite products from over seventy small manufacturers and craft producers in to this Hamburg treasure trove. 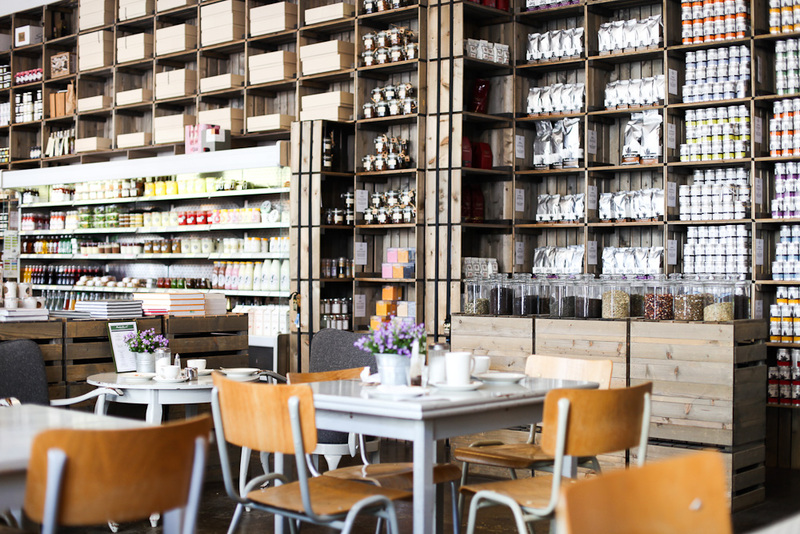 From hand-plucked teas, local jams and honey, hand-made chocolates right down to old fashioned linen dishcloths with initials – all made in Germany. He also has a fridge display cabinet offering healthy sandwiches, salads, Königsberger Klopse (rissoles) and vanilla pudding. A surprisingly good concept which, convincing from their stylish logo to each and every product, promises success. Souvenirs are beautifully packed as a present complete with greeting decoration.